CLARK COUNTY — UPDATE 10/30/18: The demise of this resolution became a topic of discussion during Tuesday’s County Council meeting when Camas resident John Ley, a vocal opponent of tolling along the I-5 corridor, blasted the councilors for failing to move ahead. While Ley praised Chair Marc Boldt for bringing the resolution forward, he wondered why the other councilors, aside from Jeanne Stewart, declined to support it. 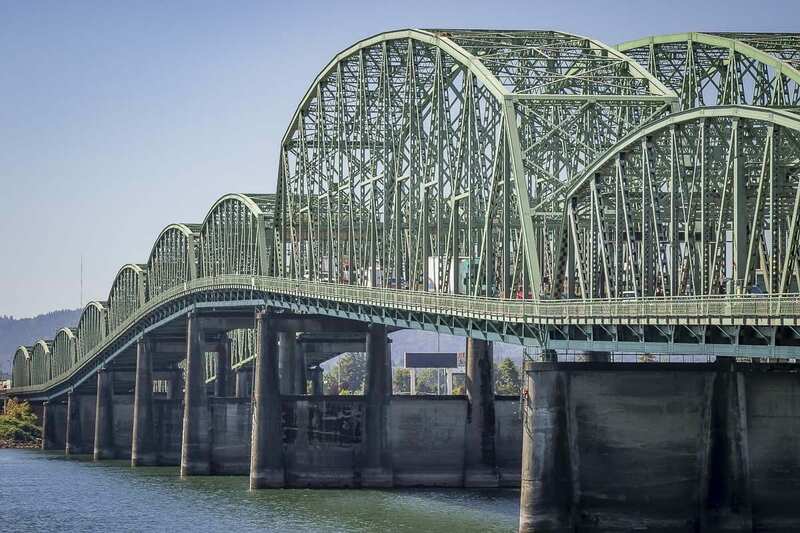 Shortly after Ley’s comments, councilor Eileen Quiring responded, saying she felt this article unfairly represented her position on the proposed resolution, which urged the Federal government to fully fund a new I-5 bridge, without the need for local tolling. Quiring says she was surprised when Boldt decided that his proposed resolution didn’t have support to move forward. While she had expressed some concerns about it, she was clear that she would support it if Boldt decided to move ahead. A proposed resolution by the Clark County Council, urging the Federal government to fully fund a new Interstate Bridge on I-5, withered on the vine this week. Current County Chair Marc Boldt introduced the resolution, in an effort to express the council’s opposition to tolls as a method to pay for a new bridge. “It’s just a message to Congress saying it’s their road, and they should fund it,” said Boldt during a recent council time meeting during which the resolution was discussed. He found support in Councilor Jeanne Stewart, a strong opponent of tolls. Councilor John Blom, however, said the resolution failed to recognize that the Federal government has already made it clear that funding for highway projects will be tighter going forward, even if a proposed 25-cent gas tax increase ends up being adopted. “There’s already half as much money as there was 20 years ago,” said Blom. “And the administration, I feel like, is a little bit tone deaf with what they have requested in terms of funding for these kinds of projects is going to be through public/private partnership. Eileen Quiring, who is running to replace Boldt as council chair, said she likes the idea of the resolution, but would prefer to wait until after the election to see who ends up being governor in Oregon. Last week, the council decided to take a week to think about the resolution, and then return at this week’s council time meeting to determine if they wanted to move forward. Stewart and Boldt remained the only councilors fully supporting the resolution. Blom made the argument that, looking at other west coast Interstate highway projects, like I-90 across the Snoqualmie Pass, and the $1.9 billion I-405 project in California, it’s obvious the Federal government has already made it clear they won’t be picking up the full tab for projects on highways they own. Quiring also introduced a proposed amendment to the resolution to add a statement against light rail, in addition to tolls. Councilor Julie Olson, also facing a re-election bid, said she agreed with the premise that the Federal government has a responsibility to maintain the Interstate highway system, but said she felt this resolution would do little to affect the conversation at this point.